For more than 15 years, the Chinese government has been grappling with some of the deadliest air pollution in the world. 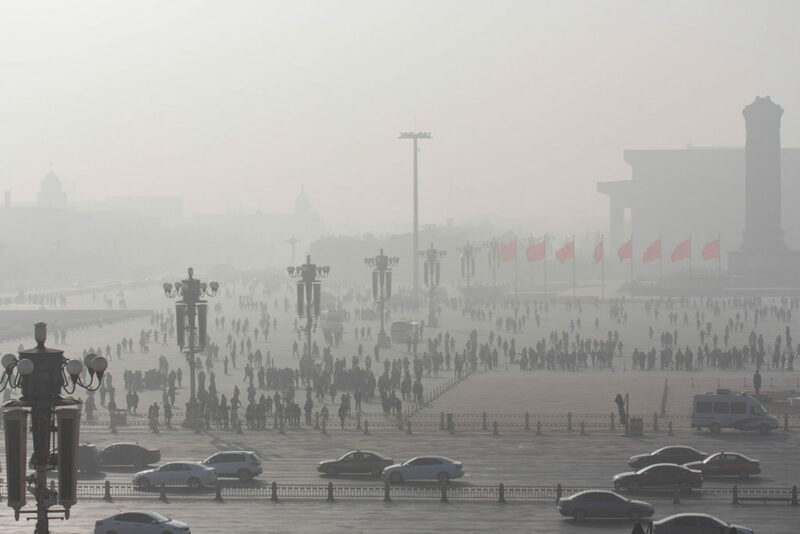 Extreme pollution events are a regular wintertime occurrence and health experts estimate that more than a million people die each year in China from particulate air pollution. China’s big problem is particulate air pollution, known as PM2.5, referring to the presence of particles 2.5 microns or smaller in the air. The primary makeup of these particles is sulfur compounds, which have generally been identified as sulfate, which forms from sulfur dioxide. Sulfur dioxide mostly comes from coal-burning power plants and the Chinese government has spent billions of dollars in reducing sulfur dioxide emissions. While their efforts have succeeded, there has not been a commensurate reduction in extreme pollution events. New research from Harvard has uncovered the reason. The research reveals that the key to reducing extreme wintertime air pollution may be reducing formaldehyde emissions along with sulfur dioxide. They found that the instruments used to analyze haze particles may be mis-identifying sulfur compounds as sulfate when they are actually a molecule called hydroxymethane sulfonate (HMS) which forms by the reaction of sulfur dioxide with formaldehyde. This chemical pathway has been overlooked in previous air quality models. Reducing sulfur dioxide concentrations has made them the limiting factor for HMS production, but high levels of formaldehyde are still present. The primary sources of formaldehyde emission in China are vehicles and major industrial facilities such as chemical and oil refineries. The researchers recommend that policymakers focus efforts on reducing emissions from those sources in order to reduce the occurrence of extreme pollution events. Photo, posted January 1, 2017, courtesy of James Riker via Flickr. ‘Cleaner Air for China’ from Earth Wise is a production of WAMC Northeast Public Radio.